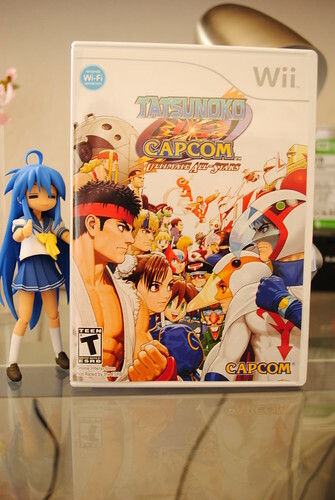 "I approve of Tatsunoko vs Capcom!!!" "If you own a Wii go buy this game." 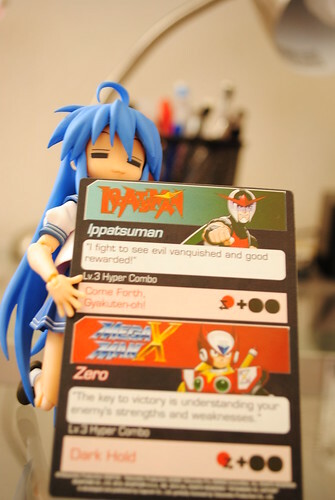 You heard Konata go buy this game. I will leave talking about the game itself at a later time. 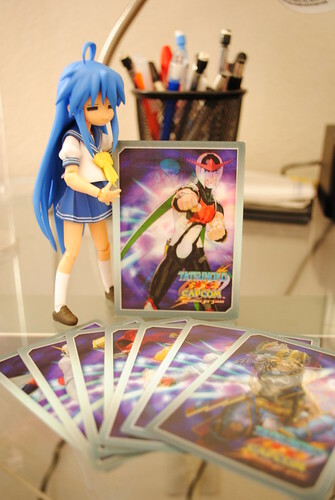 Today it will be a quick post about these trading cards I got by pre-ordering TvC back in January. As you can see I got a booster pack with eight of these cards from a total of 13. The packet says to trade to collect all 13, I can't see how can I accomplish that if everyone who has these only got one pack with 8. 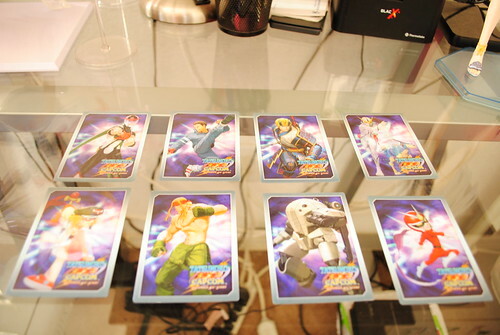 Each card features two characters from the game one from the Capcom side and one from the Tatsunoko side. 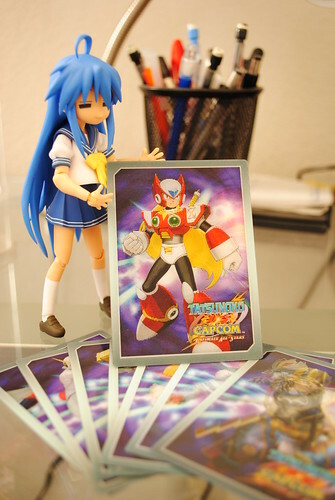 Depending on the view angle the card will show either the Capcom or Tasunoko character as demonstrated with Zero and Ippatsuman. On the back of each card you get one of the victory quotes each character uses after each battle. Also included is the button combination for their strongest level 3 Hyper Combo. Nothing really much to say about these cards. I do however, will say to go out and buy TvC if you own a Wii. I dislike all those people who complain about the lack of good third party games on the Wii when you have games such as these sitting on the shelves. TvC is an excellent fighting game in the vein of the previous versus games that is easy to pick up and play even by people not into this type of games.